Mark your calendars! 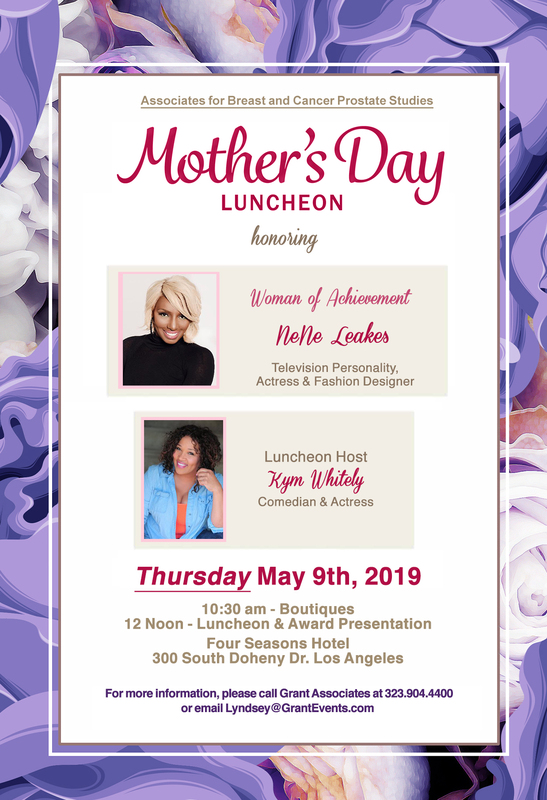 Our star-studded “Mother’s Day Luncheon” will be hosted on Thursday, May 9th, 2019 at the Four Seasons Hotel on South Doheny Drive in Beverly Hills. The afternoon event will benefit breast and prostate cancer research at the John Wayne Cancer Institute at Providence Saint John’s Health Center. Boutiques and shopping begins at 10:30am. Luncheon and awards will begin at 12pm. 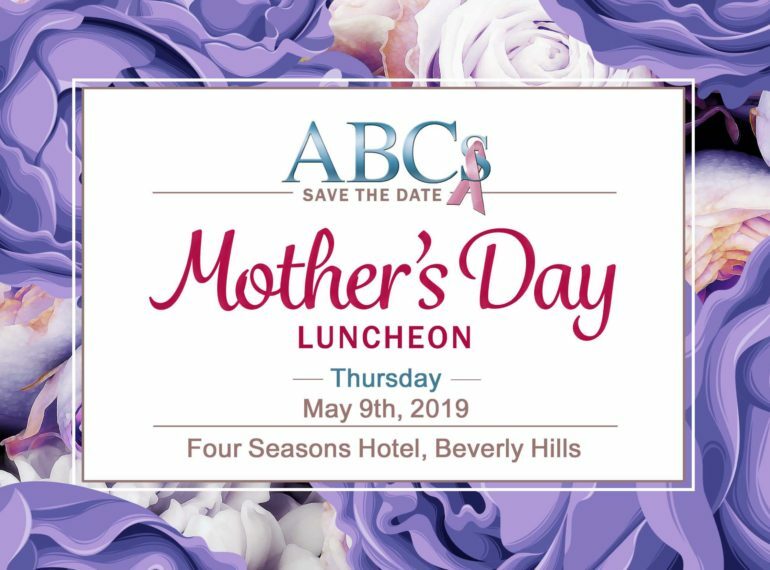 The ABCs was formed 28 years ago by a group of dedicated philanthropists who had originally been associated with the Eddie Cantor Charitable Foundation, an organization that supported a variety of causes. Today, the ABC’s is 200 members strong and growing. Since 1990, our group has raised more than $15 million to support the John Wayne Cancer Institute’s research in advancing treatment and detection of both breast and prostate cancer.